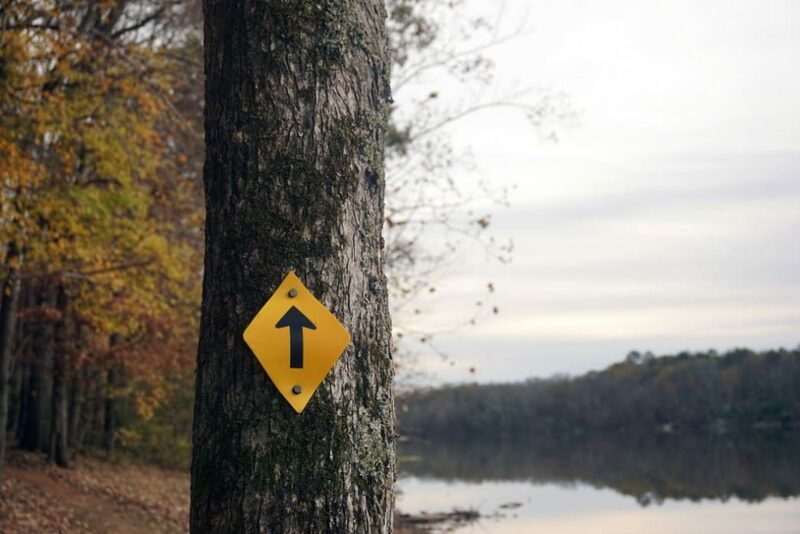 Dedicated organizations such as the Carolina Thread Trail, the Friends of the Mountains to Sea Trail, and the Tarheel Trailblazers are the engines driving new trail projects across the Carolinas. From flat, wide rail trails to gnarly sections of technical singletrack, miles upon miles of new outdoor experiences are constructed every year. They’ve been so busy in fact, that a complete list of all the new trails would be nearly impossible to curate. Instead, we’ve listed six segments that are interesting for either the trail itself or what’s around it. Love Valley is short but sweet, giving you a taste of the Old West. Sometimes the trail is only part of a much larger experience, and such is the case for the 2.6-mile stretch of the Carolina Thread Trail known as the Love Valley Trail. 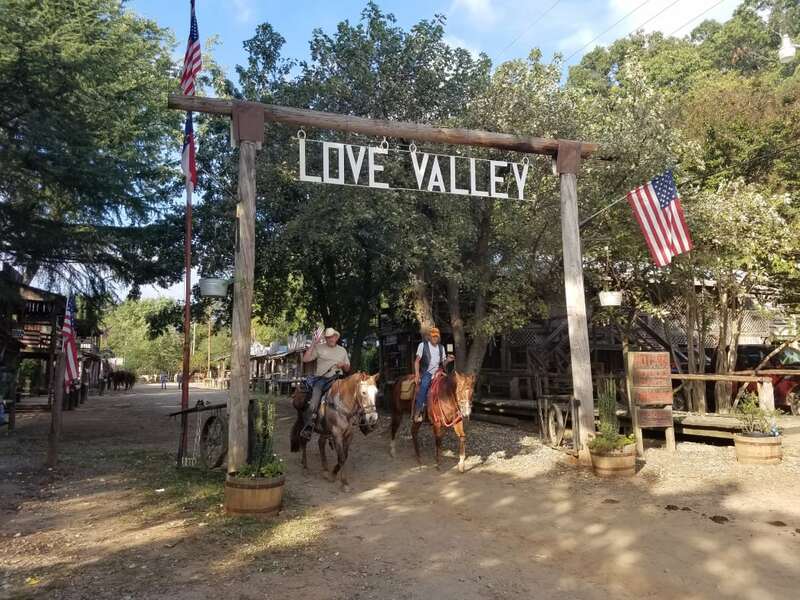 Ideal for horseback riding but open to bikers and hikers, this smoothly graded path runs along the southern edge of the Brushy Mountains and begins in Love Valley. The real draw of the area, especially for equestrian fans, is the Old West-themed town center. The dirt road, where only foot and hoof traffic are allowed, is lined with hitching posts, wooden walkways, and saloons. Not what it once was—many of the shops have closed and buildings are for sale—the novelty of seeing a town where the horse remains king is still worth a visit. Hikers and bikers should watch out for each other along the East Main Extension. Land acquisitions in 2014 and 2015 effectively doubled the footprint of the U.S. National Whitewater Center located on the western edge of Charlotte. According to its directors, the center plans to protect the land rather than develop it, resulting in hundreds of open acres just waiting for trail designers to work their magic. One of the most challenging recent additions is an extension on the existing East Main Trail. Now totaling 6 miles, the trail includes sharp climbs and swift descents, earning its nicknames “East Pain” and “Beast Main”. All trails at the USNWC are open to foot and bike traffic. 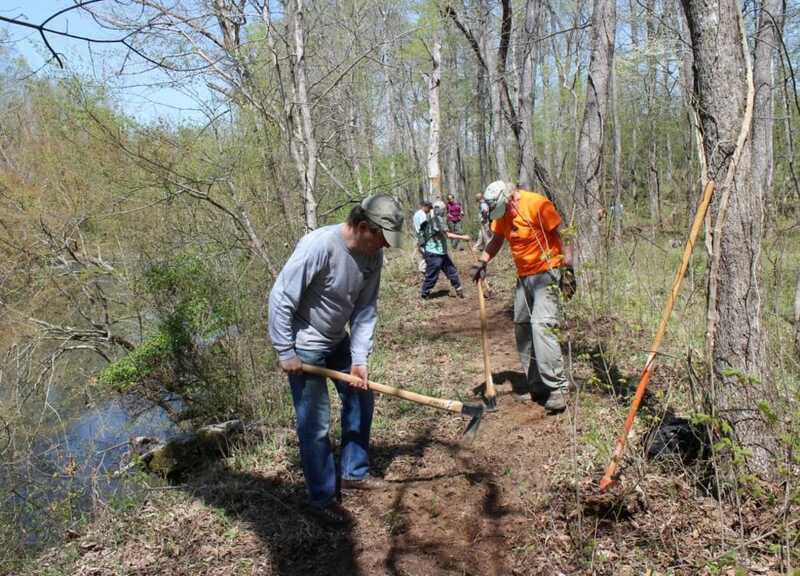 Volunteer opportunities exist almost every weekend for building new trails all over North Carolina. 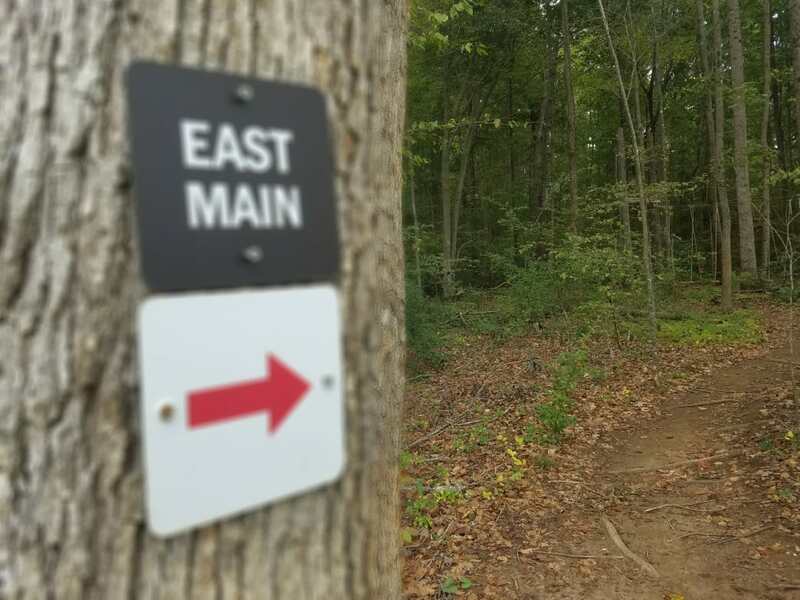 The 2.2 miles of singletrack at Bigleaf Slopes in Statesville, NC is yet another testament to the tenacity and hard work put forth by the Tarheel Trailblazers. Working in conjunction with Iredell County, the superheroes of the singletrack have created another stellar mountain bike park out of the previously unused land. Trail mileage will continue to spread throughout the 104-acre tract, but for now, the ride is fairly fast with moderate elevation changes. 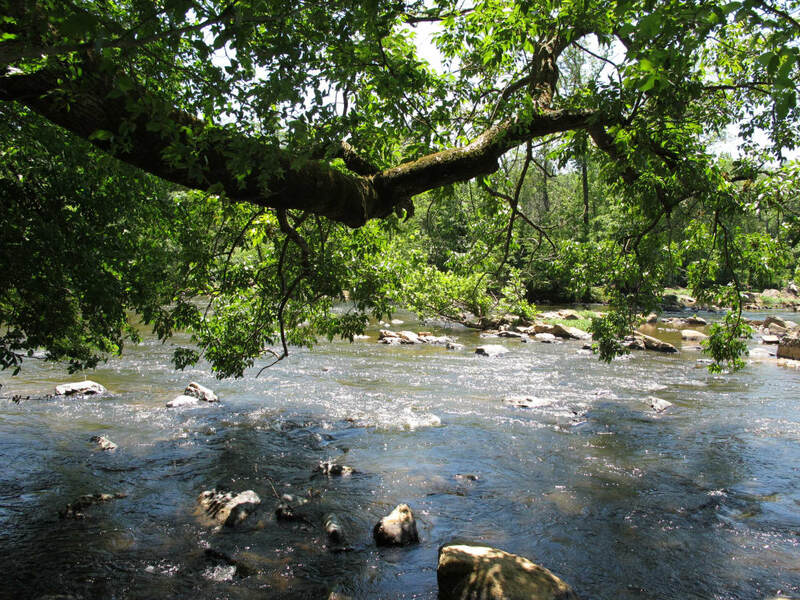 Get refreshing river views on paths like the Piedmont Medical Center Trail. The Piedmont Medical Center Trail is one of several dazzling amenities at the Rock Hill Outdoor Center. A recent extension to the trail, made possible in large part by the Carolina Thread Trail, has made it even better. Now connected to existing paths in the adjacent River Park, the system extends for over five miles. Bikers and walkers will find a mix of construction including pavement, boardwalk, and natural surface trail. Flowing alongside the Catawba River and through the forested River Park, the trail offers a serene escape at the outdoor center. 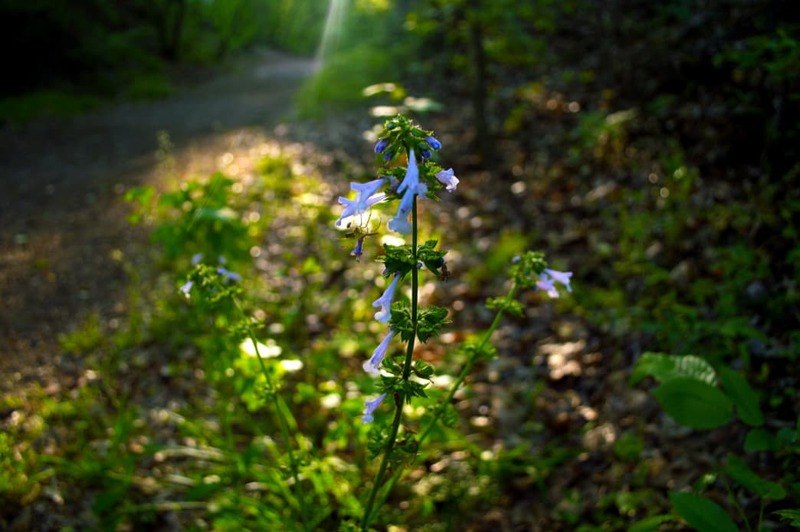 Look for different species of plants that live along the trail. Passing through a Cypress swamp isn’t a common occurrence in the central Piedmont of North Carolina, so catching a glimpse of this unusual biome during a peaceful run on the South Fork Rail Trail is a cool experience. In fact, the swamp setting is just one of several points of interest along the new two-mile, natural surface trail in Lincolnton, NC. Keep an eye out for large leaf magnolias, the remnants of a bridge destroyed by Union soldiers during the Civil War, and the rocky shoals of the South Fork River. This smooth trail is an excellent spot for a morning walk, jog, or short bike ride. The Mountains to Sea Trail is an incredibly ambitious, 1,150-mile trail housed completely within the state of North Carolina. While the trail is walkable now—dozens have actually completed it—around half the distance requires overland passage. Several new sections of trail are added every year and one of the longest recent additions is the four-mile continuance of the Haw River Trail in Burlington, NC. Following the banks of the placid and rocky Haw River, the trail extension creates a total of eight uninterrupted hiking miles.